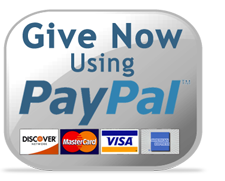 Please specify on the “Add Memo” portion which ministry you would like your donation to support. Thank you. We believe that, as followers of Christ, we are called to help those in need. Here are a few organizations and ministries we support in that calling. 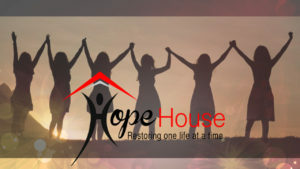 Hope House is a non-profit, faith-based women’s substance abuse recovery and transition program located in Bastrop, Texas. Click on the image to watch a video about Hope House. “Church Under the Bridge” is a combined effort of churches from all over the Austin area serving the homeless. Volunteers at CUB tangibly demonstrate the love of God to the people living on our streets through the provision of hot meals, clothing, blankets and sleeping bags. CUB meets every Sunday morning at 7th Street and IH-35 across from the police station. HOG generally serves the 1st Sunday of every month at 9:30 AM providing footcare and eyeware, as available. New Hope Christian Academy is a residential discipleship and academic program for teens located in Bastrop, Texas. I.T.S.-H.U.H. is a ministry geared towards being IN THE STREETS reaching out to those lost in “darkness” and the homeless. Praising the Lord with HANDS UP HIGH for the one who comes to repentance (Luke15:4-7). Located in Bastrop, Texas. Mission H2O works with well ministries around the globe to provide clean drinking water to those who need it most. We believe by meeting the practice needs of a community, God opens up hearts to receive the Living Water provided by His only Son Jesus Christ.